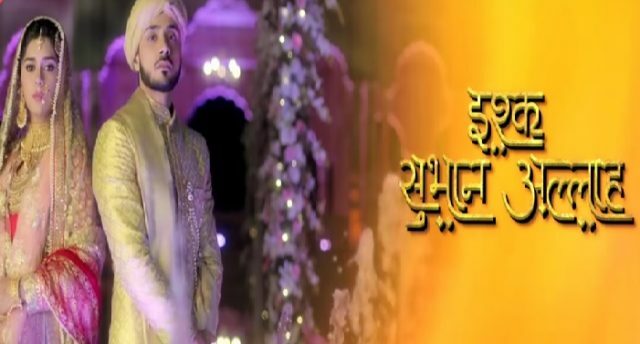 In the written episode of Ishq Subhan Allah 21st November 2018, Zara takes Ruksaar’s all responsibility. The today’s update of the Tv serial begins with Ruksaar is walking along at window plank. All are scared to see this, she loses balance. Kabir asks her that to not leave it. Ruksaar said to her that I am going to Zara’s room. Zara said that I will take you from the room. To listen this Ruksaar said that no. they all bring the mattress and puts under the Ruksaar. she loses balance and falls down on the mattress. All are getting scared to saw her. Zeenat hugs her and cries in a loud voice. At night, Kashan said to Kair that the weather Is too bad. Alina brings tea for everyone. Ayesha asks to give it to Zeenat too. Alian said that she is in the room and her room is locked. Zara went to check her but sees that Zenat is coming with luggage and Ruksaar. kashan asks to her that where are you going? She replied that I am leaving my sister, Ayesha says that what is a very shocking way. Zeenat says that we do not have anyone here. Zara asks that what happened. She Zeenat said to look at Ruksaar, the doctor said that she can not be treated. She does not know about anything, not even death and life. We are all doing things for her. She said to Ayesha that you always asked me about to think about family first then we should let Ruksaar. she is a responsibility that nobody wants to take so she should die, she cries. Zeenat screams that if anyone here wants to take her responsibility? Nobody answers. Zeenat said that why I am leaving. She begins leaving but Zara asks to Ruksaar to come with her. Ruksaar looks at them both but holds to Zara’s hand. Precap: Kabir said to Zara that we should keep old men on jobs as they are experienced. Zara said that what about the energy that we can only get from college kids?